This adorably cute little turtle was trying to be inconspicuous by sitting immobile in the grass along an old logging road. But it was pretty conspicuous, being the only turtle-shaped object anywhere around. I had to wait ten minutes before it stuck its cute little turtle head out for a photo. 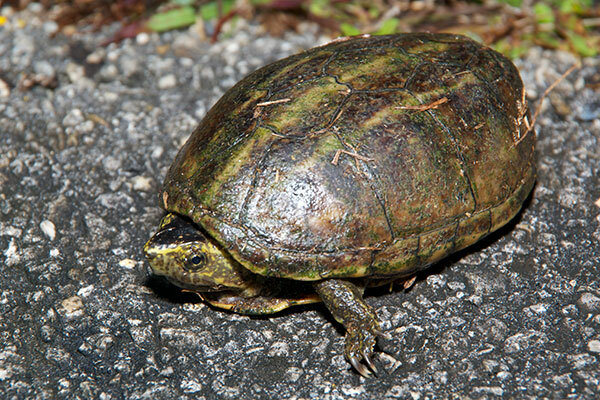 Along with Striped Mud Turtles, Everglades National Park is also home to Florida Mud Turtles (Kinosternon subrubrum steindachneri), which look very similar. This turtle's shell is so scuffed up that almost no trace of its natural color or pattern remains, so that certainly can't be used to identify the species. 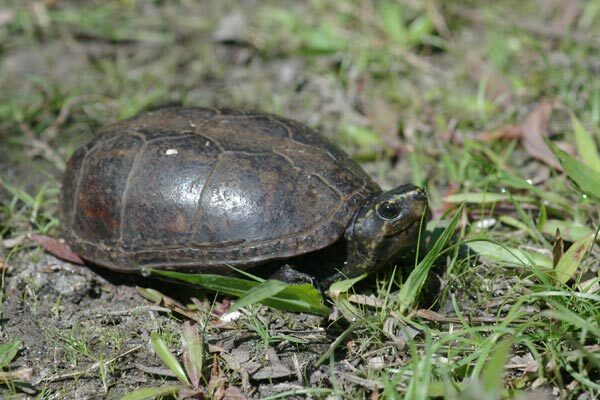 The striping on the head of this individual is weaker than on the other Striped Mud Turtles I've seen, which hints at the possibility that this is in fact a Florida Mud Turtle. But this head-striping is variable enough in both species that it's not a smoking gun. The place where the gun smokes is, alas, the plastron (bottom of the shell), and I didn't photograph or even look at this turtle's plastron, so we shall never know. 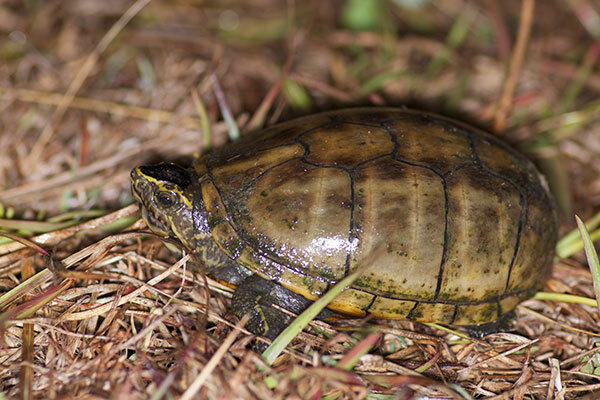 Since Striped Mud Turtles are more commonly seen, and I had seen other Striped Mud Turtles very close to where I saw this one, it seems more likely that this one was a Striped Mud Turtle. 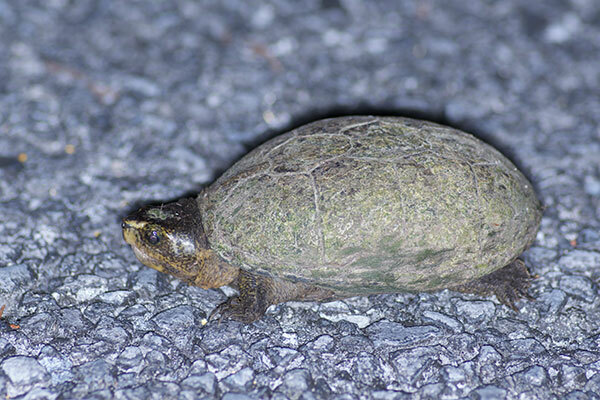 When I see one of these turtles at night on the road, it always takes me a moment or two to recognize it as a turtle, rather than a mini football, or half of a coconut. The shells of some Striped Mud Turtles are partially translucent, allowing you to see the outline of the turtle's skeleton inside the shell.